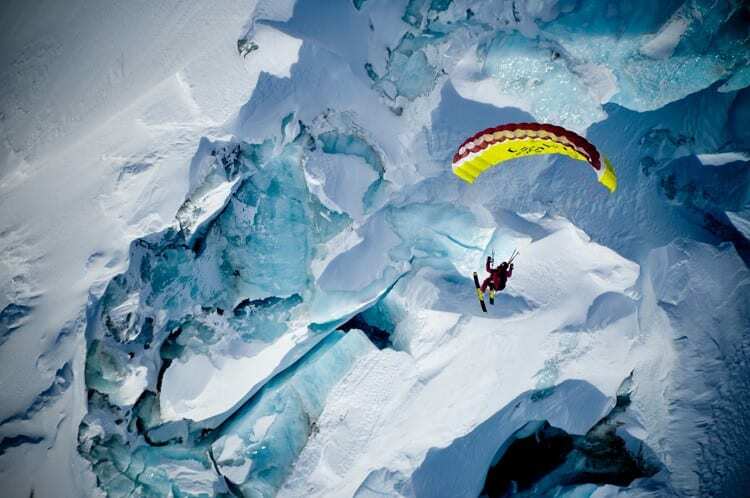 Speed-flying is a form of paragliding that combines two exciting sports together…skiing and flying! What more is there to say! This sport is extremely fast and not for the faint of heart. 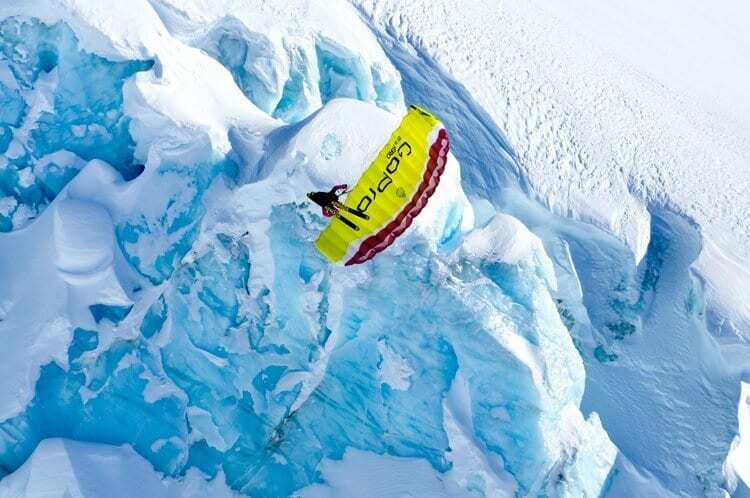 Anyone over the age of 18 who has a paragliding licence can come and try this new thrilling adventure. 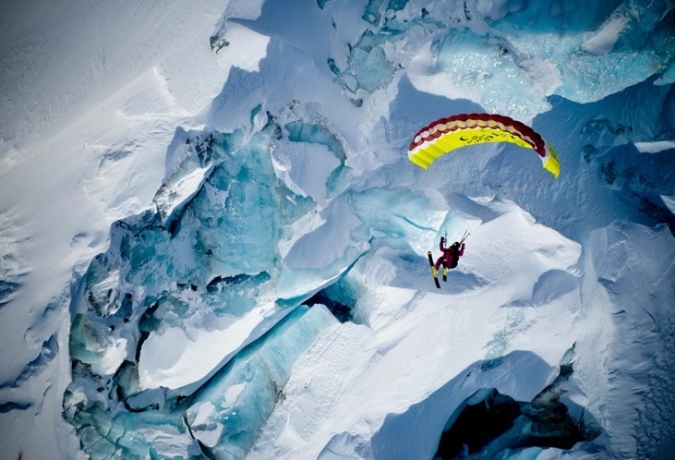 Speed wings are very small paragliders that are designed to follow the terrain and not fly out away from it. 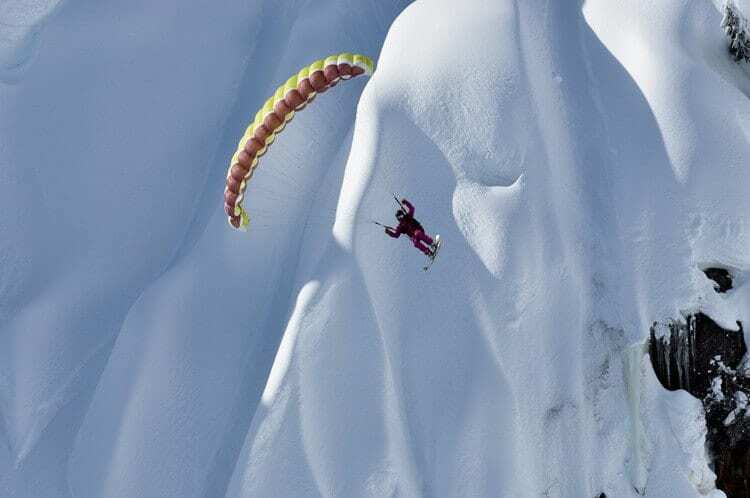 By doing this we are able to fly close to the ground and switch from skiing to flying and back again. 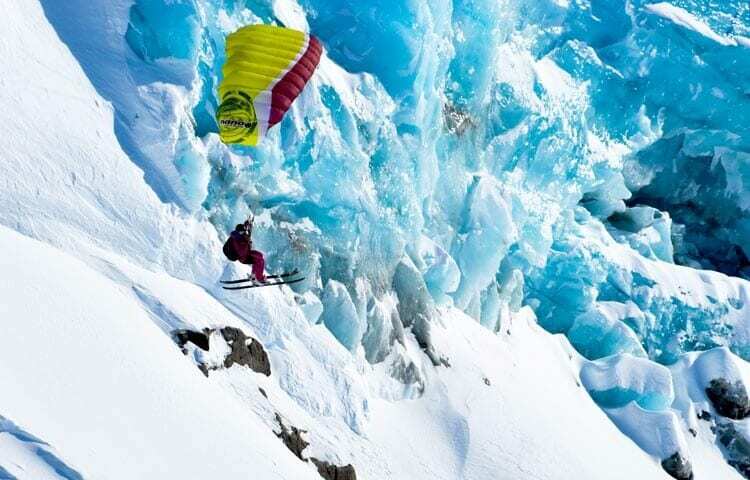 It also allows us to ski off cliffs. Who can learn to speed fly? Wings vary in size and expert pilots can use extremely small sizes enabling us to exceed speed of 120km/h. 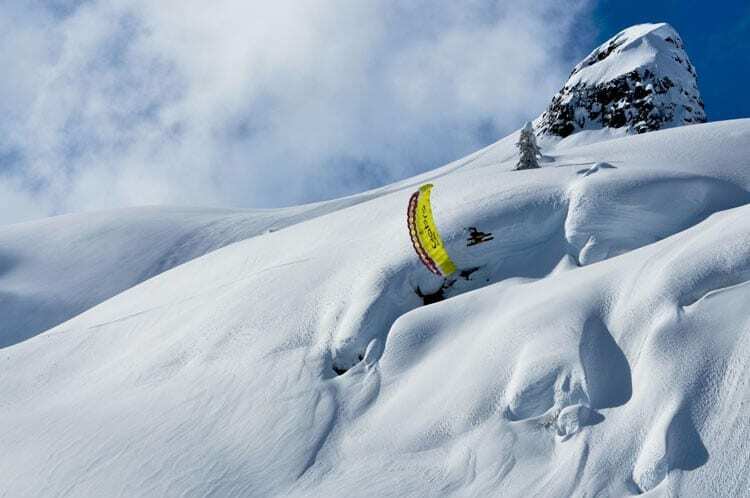 Due to new regulations in Switzerland, you are required to have a paragliding licence before you can start this course. To learn to speed fly. 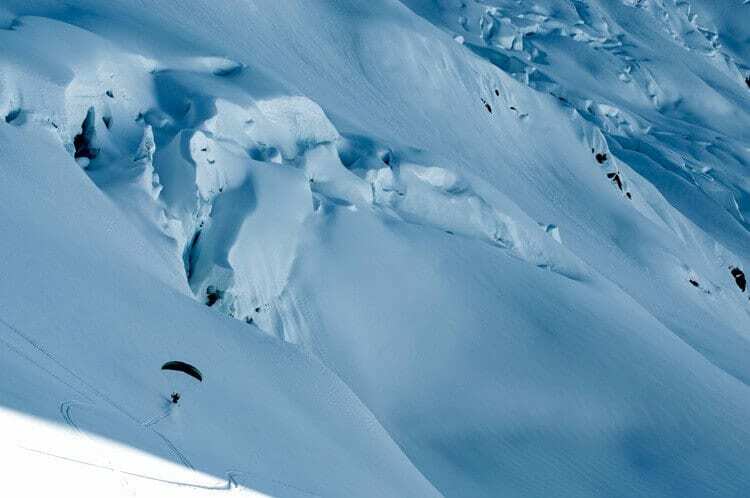 Included: All tuition and speed flying equipment, (not skis or lift pass). All students are required to have accident insurance cover before beginning training and must be advanced skiers. Every day from December – April. Courses can only run when snow conditions are good enough to enable a safe course to be run.